The Tibetan Mastiff is an ancient breed. In recent years, these dogs have been exported to the USA and UK, as people learn to love these protective companions. 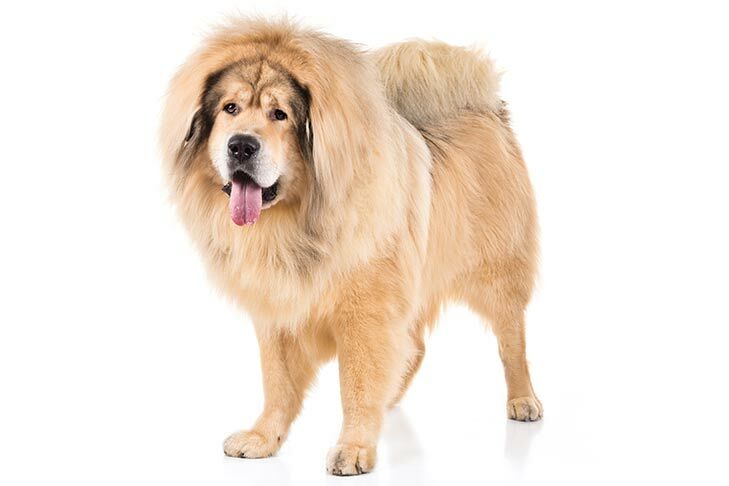 The Tibetan Mastiff is considered by many experts to be the ancestral foundation from which most, if not all, large working breeds descend – including all mastiffs and all mountain dogs. There are no accurate records of the exact heritage of the Tibetan Mastiff. Predecessors of the modern mastiff are thought to have traveled with the armies of many ancient civilizations throughout the centuries. Historians believe that the Tibetan Mastiff developed from dogs that remained isolated in the Himalayan Mountains and surrounding valley regions thousands of years ago. The altitude and climate of the Himalayan area was well-suited to development of this giant, heavily coated breed. Moreover, its Tibetan owners needed the protection that this breed provided. Few Westerners were permitted to visit Tibet until the 1800s, and thus very little was known about the dogs of that region. Some early accounts mention huge, formidable dogs “as big as donkeys”; others described the native Tibetan dogs as being fierce, strong and noisy… “and, whether savage by nature, or soured by confinement, they were so impetuously furious, that it was unsafe, unless the keepers were near, even to approach their dens.” One of the earliest references to the Tibetan Mastiff is contained in English records from 1828, when King George IV presented a “Thibet Mastiff or Watch Dog” as a gift to the London Zoo. In 1847, Lord Hardinge, viceroy of India, sent a large Tibetan dog to Queen Victoria as a gift. England’s first dog show was held in 1859. The Kennel Club (England) was founded in 1873. Its original studbook contained over 4,000 dogs, including a Tibetan Mastiff – the first known reference to the breed by its modern name. Several more Tibetan Mastiffs were imported to England in the 1870s, primarily by the Prince of Wales, who later became King Edward VII. These were exhibited at the Alexandra Palace Dog Show in 1875 and sparked a small amount of interest in the breed. In 1928, Colonel and Mrs. Bailey brought four Tibetan Mastiffs with them when they returned to England from being stationed in Sikkim Nepal and Tibet. Mrs. Bailey founded the Tibetan Breeds Association of England in 1931, and the first official breed standard was adopted by The Kennel Club (England) that same year. The Dalai Lama gave a pair of Tibetan Mastiffs to President Eisenhower in the late 1950s, after the conclusion of World War II. Several more were imported from India and Nepal in the 1960s and 1970s. Also in the 1970s, Nepalese drug smugglers reportedly shipped their illegal loot into the United States in false bottoms of dog crates containing Tibetan Mastiffs, presumably feeling smugly confident that no customs official would be brave enough – or foolish enough – to search the kennel. When the communist Chinese annexed Tibet, the Chinese military ordered that all dogs be beaten to death by their owners, or the owners would be beaten to death as punishment for disobedience. This “canine holocaust” nearly decimated the Tibetan Mastiff and other Tibetan breeds in their homeland. Fortunately, a small number survived in remote rural regions. This, together with those previously exported to Europe, Great Britain and the United States, ensured the survival of this proud breed. The American Tibetan Mastiff Association was founded in 1974. Tibetan Mastiffs were shown in connection with the California Rare Breeds Dog Association in 1979, and the breed held its first national specialty in 1983. The Tibetan Mastiff was admitted into the American Kennel Club’s Working Group in 2006. Today’s representatives of this breed retain their strong protective instincts and massive size, and therefore they must be well-socialized and well-trained to be good members of the canine community. 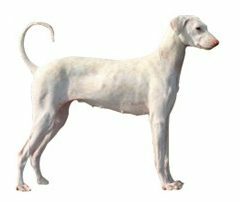 The breed is being seen more frequently in the conformation ring and can make an excellent guardian and companion. The Tibetan Mastiff is loyal, calm and brave. The Tibetan Mastiff is good with children in the family. They are not trusting of strangers. The breed will get along with another dog, if raised together. A non dominant breed is best with this dog. The coat is medium length and thick. The hair around the neck is thicker than on the rest of the body. The coat is thick and needs to be brushed at lest a few times each week. Brush daily during the shedding season. For such a large breed, the Tibetan Mastiff has a long lifespan and few health issues. 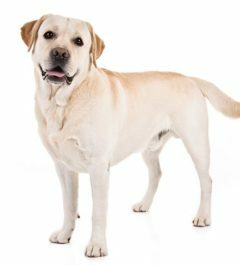 Health concerns that can be seen in this breed include hip dysplasia, skin problems, hypertrophic neuropathy and thyroid disease. The ease of training depends on the bloodline of your Tibetan Mastiff. 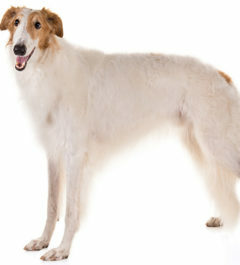 The dogs bred in England are easy to train and relatively obedient. The dogs from Tibet are difficult to train and ferocious. Training needs to be firm, but respectful. This breed needs plenty of room to run in the yard and shouldn’t live in an apartment. They will dig under the fence to escape the yard, so a hard surface under the fence is recommended. 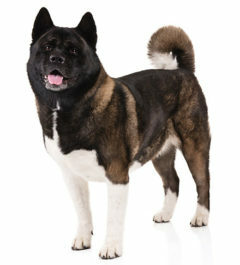 This is a big dog, so expect to feed your dog a lot of food – about 4 to 6 cups of a high-quality dog food a daily. Portion sizes will depend on how active your dog is. You’ll want to break up his meal times into several feeding to avoid bloat, which occurs if your dog eats his food too quickly.